Boston: A city famous for its rich history with a thousand stories behind each landmark. Some stories may be better known then others, and other stories may never hear the light of day; all the same, Boston features American history at its core. While events such as the Boston Tea Party and Boston Massacre and landmarks such as the Old South Meeting House and Old North Church may be first thoughts in regards to Boston’s history, we must not forget about more hidden landmarks- too rich in artistic expression to be forgotten. Come visit the South End, stroll down the tree lined streets, and appreciate the authentic brownstones in a neighborhood designated to be one of the most historic in the country. Strolling down the streets will surely bring you back in time. Nestled within Boston’s Historic South End, a district renowned for artistic presence, stands a building from 1884. In the 1960s, the Boston Redevelopment Authority purchased the plot of land and designated the Boston Center for the Arts (BCA) as its developer. The building, known today as the Cyclorama, is famous for housing a 360 degree painting, from the year 1883, of the Battle of Gettysburg. The painting itself is a Cyclorama, a very popular painting style in the late 1800s; it is one of few Cyclorama paintings in existence today. Paul Philippoteaux, a French artist, depicted the Battle of Gettysburg on canvas. Remaining true to Cycloramic form, the painting has a three dimensional effect that seemingly places its viewers into the historic scene. Today, this painting can be found at the Gettysburg National Military Park in Pennsylvania. While the famous Cyclorama painting may no longer be found in Boston, a visit to the Cyclorama will still give you an experience true to form. Today, the BCA utilizes this building as a rental for the city’s most innovative events. If you have an interest in International Fine Art, this upcoming weekend, October 19th -21st, stop by the 22nd Annual Boston International Fine Art Show. This show features an array of historic, modern, and contemporary fine art. Weekend admission is $15 and children 12 and under get free admission. A family friendly event, this is sure to be enjoyed by all. In the spirit of the Halloween, the Cyclorama made sure to include an event to satisfy your spooky needs- or at least your taste buds. So mark your calendars for the Cyclorama Halloween Party! The event will take place October 26th from 7-11 PM, so stop by and enjoy beers from the most renowned breweries in the country. There will be food, unlimited pours, music, and best of all, Halloween themed merchandise and glassware from designer Sam Taylor. What better venue for a Halloween themed party? Rentals at the Cyclorama support hundreds of local artists through BCA programs and services. The Cyclorama provides creative spaces taking the form of studio, exhibition, and performance. The events held here develop new relationships between artists and their audiences; in fact, the BCA primarily utilizes this venue as a means of connecting the community to artists and their art. 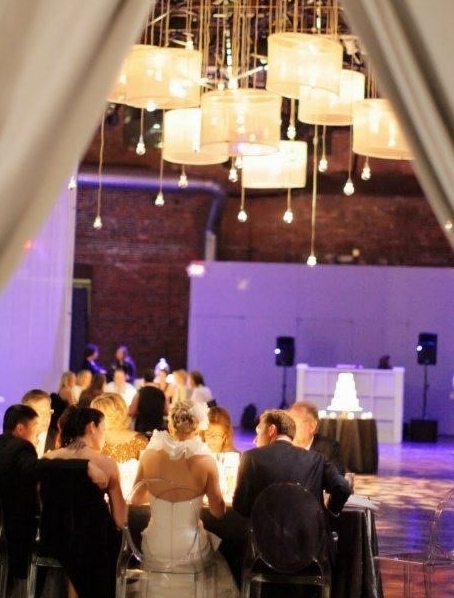 In addition to the Historic Value of the Cyclorama, the venue is considered to be Boston’s most unique venue. The building is known for its old world architectural design. Come and see for yourself the brick façade and copper dome. The atmosphere in itself a compliment to the art that is featured there. The calendar for the Cyclorama is booked with events - check out their website to see what most appeals to you. You will not be disappointed by the artists nor the historic atmosphere the venue has to offer!